The future Maria I of Portugal was born on 17 December 1734 at the Ribeira Royal Palace in Lisbon with the full name, Maria Francisca Isabel Josefa Antónia Gertrudes Rita Joana as the daughter of Joseph I of Portugal and Mariana Victoria of Spain. She was created Princess of Beira by her grandfather John V of Portugal on the day of her birth. She would have three younger sisters. Maria was traumatised by the 1755 Lisbon earthquake, which also destroyed Ribeira Palace and around 100,000 people died. She suffered from claustrophobia. In 1760 Maria was married to her uncle Pedro, who was her father’s younger brother. By law, Maria was banned from marrying a foreign prince. 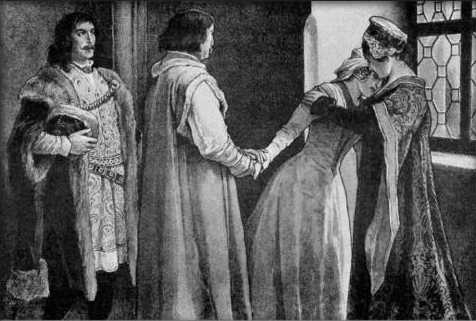 ‘If the King’s daughter marries a foreign prince or noble, she shall not be recognised as queen’. 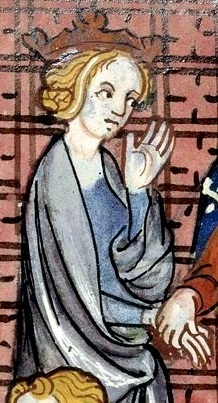 Maria was the heiress presumptive to the throne as all her brothers had been stillborn. Besides being niece and uncle, the age difference was 17 years. Despite this, it was to be a happy marriage, and the couple had seven children, of which one son was stillborn. 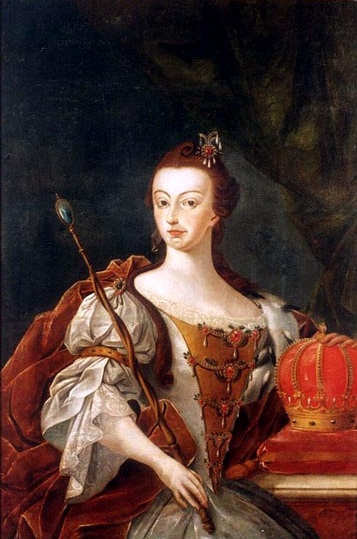 Her father died on 24 February 1777 and Maria became Portugal’s first Queen Regnant. According to Portuguese custom, her husband became King, but the power was vested solely in Maria. 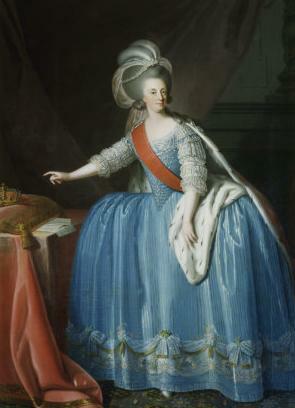 Maria is perhaps best remembered for her mental deterioration, which was first officially noted in 1786 when she was carried back to her apartments in a state of delirium. She deteriorated considerably after the deaths of her husband, eldest son and heir and her daughter. By 1792 she was deemed mentally insane. 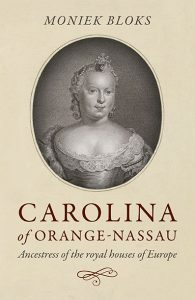 She received care from the physician who had attended on George III of the United Kingdom, who suffered from porphyria. Her surviving son John took over the reins of government, but he refused an official regency, which only happened in 1799. Maria’s sister Mariana also began to display signs of mental deterioration. In 1807 the family was forced to flee to Brazil after the Napoleonic Wars. Maria did not understand what was happening and continued to ask her son, ‘Where are you taking me?’ and ‘What am I doing here?’. In 1815 Brazil was elevated to a kingdom, and Maria was now Queen of the United Kingdom of Portugal, Brazil and the Algarves. It was also the year of Napoleon’s defeat. Maria continued to live in Brazil, but she was tormented throughout her last year. She was often violent and hysterical or the complete opposite. She would slap and punch servants and often screamed, ‘The devil has gotten into me!’ She began to suffer from dysentery, fever and oedema in her hands and feet. She was confined to her bed for the last two months of her life. She finally died on 20 March 1816 after having received last rites the day before. Despite her mental illness she was considered to be a good ruler until her son took over. She is still greatly admired in Brazil and Portugal. Her body was transported back to Lisbon to be interned in the mausoleum in the Estrela Basilica.